Earn $2.74 in Rewards credit (274 points) What's This? Useful features at an entry-level price. 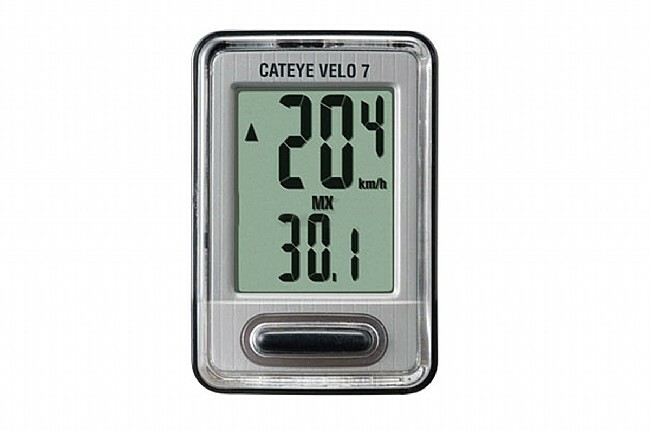 The newly redesigned Velo 7 features a compact design and simple one button operation. The larger screen is even easier to read and set up is made simple with pre-programmed tire sizes. Wired attachment. Includes wire and front wheel sensor. Tool free installation on handlebars from 22-32mm and forks from 11-55mm in diameter. Silver.